A week in the sun was exactly what Lewis and I needed, it was also exactly what we couldn't afford but that's never stopped us before. 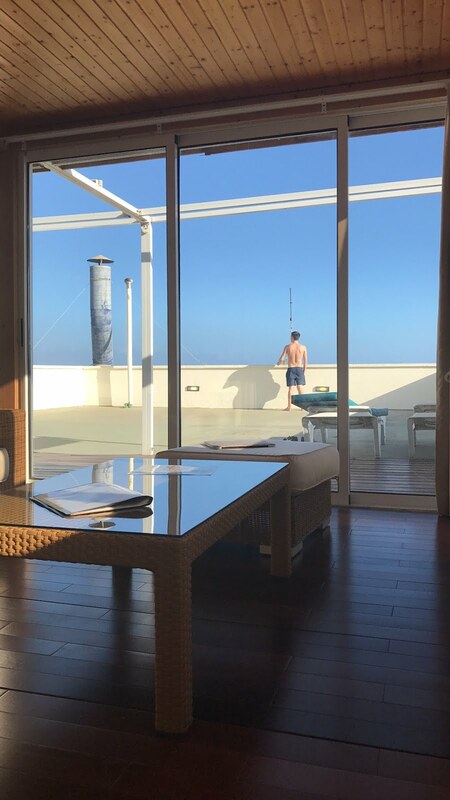 We stayed in San Augstin in Gran Canaria and had the most amazing time, 25 degree heat and plenty of cocktails. We are now back home in Scotland and back to freezing cold weather and uni/work but it was worth it for the tans we got. How to keep blonde hair protected in the sun / Charlie Miller Edinburgh. In preparation for my trip to Gran Canaria I was back with my favourite stylist, Hayley at the South St Andrews St Charlie Miller salon. As well as touching up my roots and making transforming my locks into the perfect white blonde for my trip Hayley gave me the low down on keeping my freshly bleached hair protected in the sun. Making sure my hair is covered is something new to me, as a natural brunette but now that I’m blonde, and for fear of going green in the sun it’s become a big priority during this trip. I’ve been deep conditioning, wearing hats and applying plenty of moroccan oil while sunbathing to keep my hair in the best condition possible. Hayley gave me these tips to ensure my hair stays looking fabulous while I’m away. 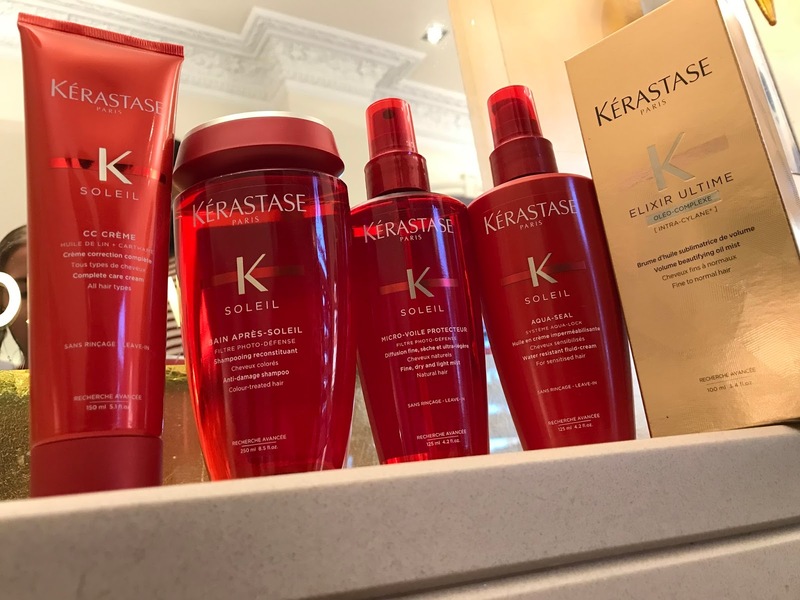 Using the Kerastase holiday range is the perfect way to keep your locks looking fab, the range includes SPF protection as well as protecting your hair from chlorine and salt. It is a four piece set of creams, oils and leave in sprays that are all you need to keep blonde hair looking vibrant. Try to always wear a hat when in the sun, it’s much needed protection from the strong and harmful rays that can dry out freshly bleached hair. Rinse hair with water before going into chlorine water as the water will add a layer of protection to your hair before the chemicals within chlorine can get to it. Use hair oils as much as possible and leave the oil on as long as possible when in the sun whilst wearing a hat so it can really get to work on your hair. Just like that Christmas break is over and we're back to uni on Tuesday for our second semester of third year (fear). The years have literally flown by and before we know it we'll be in fourth year and will have to think about leaving Edinburgh and our beautiful flat. Having time off before uni starts has been so nice, I honestly love nothing more than just kicking about our flat doing nothing. In 9 days Lew and I will be heading to Gran Canaria for some winter sun cause we can't bear this miserable weather anymore. We booked it on onthebeach.co.uk which I highly recommend for broke students like me, you just pay a deposit and then just pay it off bit by bit! In prep for the holiday I'm back to the hair gods that are Charlie Miller tomorrow to get my roots done so I can be super blonde in the sun, expect and update tomorrow!